• Interactive – which fossil fuel companies are most responsible? The climate crisis of the 21st century has been caused largely by just 90 companies, which between them produced nearly two-thirds of the greenhouse gas emissions generated since the dawning of the industrial age, new research suggests. The companies range from investor-owned firms – household names such as Chevron, Exxon and BP – to state-owned and government-run firms. The analysis, which was welcomed by the former vice-president Al Gore as a “crucial step forward” found that the vast majority of the firms were in the business of producing oil, gas or coal, found the analysis, which has been published in the journal Climatic Change. Half of the estimated emissions were produced just in the past 25 years – well past the date when governments and corporations became aware that rising greenhouse gas emissions from the burning of coal and oil were causing dangerous climate change. Many of the same companies are also sitting on substantial reserves of fossil fuel which – if they are burned – puts the world at even greater risk of dangerous climate change. Climate change experts said the data set was the most ambitious effort so far to hold individual carbon producers, rather than governments, to account. The United Nations climate change panel, the IPCC, warned in September that at current rates the world stoodwithin 30 years of exhausting its “carbon budget” – the amount of carbon dioxide it could emit without going into the danger zone above 2C warming. The former US vice-president and environmental champion, Al Gore, said the new carbon accounting could re-set the debate about allocating blame for the climate crisis. Leaders meeting in Warsaw for the UN climate talks this week clashed repeatedly over which countries bore the burden for solving the climate crisis – historic emitters such as America or Europe or the rising economies of India and China. Gore in his comments said the analysis underlined that it should not fall to governments alone to act on climate change. Between them, the 90 companies on the list of top emitters produced 63% of the cumulative global emissions of industrial carbon dioxide and methane between 1751 to 2010, amounting to about 914 gigatonne CO2 emissions, according to the research. All but seven of the 90 were energy companies producing oil, gas and coal. The remaining seven were cement manufacturers. The list of 90 companies included 50 investor-owned firms – mainly oil companies with widely recognised names such as Chevron, Exxon, bp , and Royal Dutch Shell and coal producers such as British Coal Corp, Peabody Energy and BHP Billiton. Some 31 of the companies that made the list were state-owned companies such as Saudi Arabia’s Saudi Aramco, Russia’s Gazprom and Norway’s Statoil. Nine were government run industries, producing mainly coal in countries such as China, the former Soviet Union, North Korea and Poland, the host of this week’s talks. Experts familiar with Heede’s research and the politics of climate change said they hoped the analysis could help break the deadlock in international climate talks. Others were less optimistic that a more comprehensive accounting of the sources of greenhouse gas emissions would make it easier to achieve the emissions reductions needed to avoid catastrophic climate change. John Ashton, who served as UK’s chief climate change negotiator for six years, suggested that the findings reaffirmed the central role of fossil fuel producing entities in the economy. “The challenge we face is to move in the space of not much more than a generation from a carbon-intensive energy system to a carbonneutral energy system. If we don’t do that we stand no chance of keeping climate change within the 2C threshold,” Ashton said. Meanwhile, Oreskes, who has written extensively about corporate-funded climate denial, noted that several of the top companies on the list had funded the climate denial movement. “For me one of the most interesting things to think about was the overlap of large scale producers and the funding of disinformation campaigns, and how that has delayed action,” she said. The data represents eight years of exhaustive research into carbon emissions over time, as well as the ownership history of the major emitters. The companies’ operations spanned the globe, with company headquarters in 43 different countries. “These entities extract resources from every oil, natural gas and coal province in the world, and process the fuels into marketable products that are sold to consumers on every nation on Earth,” Heede writes in the paper. The largest of the investor-owned companies were responsible for an outsized share of emissions. Nearly 30% of emissions were produced just by the top 20 companies, the research found. By Heede’s calculation, government-run oil and coal companies in the former Soviet Union produced more greenhouse gas emissions than any other entity – just under 8.9% of the total produced over time. 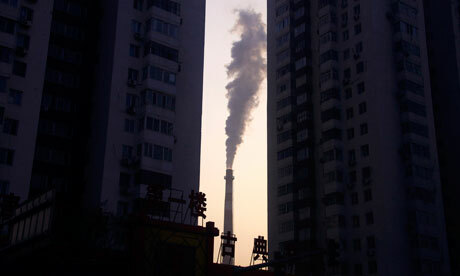 China came a close second with its government-run entities accounting for 8.6% of total global emissions. ChevronTexaco was the leading emitter among investor-owned companies, causing 3.5% of greenhouse gas emissions to date, with Exxon not far behind at 3.2%. In third place, BP caused 2.5% of global emissions to date. The historic emissions record was constructed using public records and data from the US department of energy’s Carbon Dioxide Information and Analysis Centre, and took account of emissions all along the supply chain. The centre put global industrial emissions since 1751 at 1,450 gigatonnes.